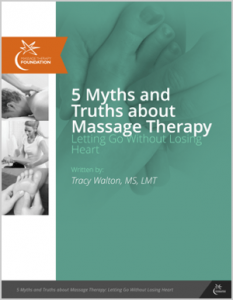 As a master teacher and educational administrator, Tracy Walton designed Medical Conditions and Massage Therapy (MCMT) to inspire students and support teachers. She combines rigorous science with a deep understanding of the intimate and unpredictable nature of the massage therapy setting. MCMT focuses on strategic thinking as an essential component of professional judgment. Rather than merely describing conditions and listing contraindications, this text gives students sound principles for approaching any medical condition and then applies those principles to common clinical situations. With the why and how of clinical decisions, students practice more safely, confidently, and professionally. Teachers go from being encyclopedic sources of information to being guides, helping each student develop the mindset and skill set necessary to succeed in a rapidly evolving field. Practical and easy to understand, MCMTmakes learning easier and more effective. Students apply principles to a multitude of conditions and modify the decision-tree approach to meet the needs of their clients. Teachers use the clear structure to establish a reliable system for approaching a client with a medical condition. The classroom-tested, teacher-tested supports facilitate class planning and teaching. The format itself (progressive structure, key repetition, step-by-step instructions, etc. ), the many tools provided for teachers (lesson plans, sample exercises, printable forms, etc. ), and a host of online resources (blank Decision Trees to fill in, a “side effects table” of massage adaptations, a visual pressure scale, etc.) reinforce the comprehensive content. And because the text is principle based, it has staying power. Comprehensive and foundational, this text plays a vital role in courses on massage technique, pathology, student clinic, massage research, practice management, and special populations. See an overview and highlights of this unique, valuable book! Visit Lippincott Williams & Wilkins website. There you can request an examination copy, gain access to the online instructor resources, or contact your LWW representative. Click on the cover to purchase through Amazon (affiliate link – Amazon sends us a small thank-you).